All Around Moving understands the complexities of New York residential or commercial moving. You have a variety of challenges from navigating the City itself to traffic and parking regulations, not to mention the possible moving and storage costs. When you’re looking for professional residential or commercial movers in New York City, you want services that won’t be overprized or find yourself locked into a steeped storage contract. That’s where All Around Moving can help by providing you with exemplary professional movers in New York City for all moving services needed. When looking for movers in New York City, it is important that they are trustworthy to handle your personal belongings. At All Around Moving, we ensure the movers we send are well-trained, thoroughly screened and background checked to provide you with the safest moving experience. All Around Moving ensures you only have the best commercial or residential move in New York City. For exceptional services that are simple, hassle-free, stress-free, while remaining cost-effective for your budget, call us today! All Around Moving will satisfy and exceed your expectations in an area as extensive and complex as New York. We will plan and execute your local moving in NYC with streamlined efficiency. Finding reliable and efficient movers in New York City is easy and stress free with us. Whether you need movers in the New York City or elsewhere in the world, we accommodate all your moving requirements. 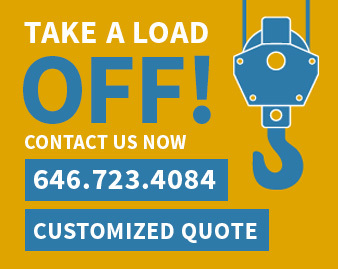 Call 646.723.4084 or complete the estimate form and receive your free moving quote today! We arrange moves locally within the New York area or from out of state such as California, Florida, New Jersey, Connecticut or Texas. All Around Moving offers a multitude of specialized professional residential moving services. Before All Around Moving arranges skilled movers in New York city to arrive at your home, we ensure that you receive a fair and accurate assessment of the moving costs. Additionally, we consider the personnel needed, equipment, packaging materials, transportation and time allotted. Whether you’re moving into a small studio apartment or four-bedroom home in New York, we arrange to move all your furniture and fixture with ease and care. No time is more important than the present to plan your move! Fill out a residential moving quote form to start the best moving experience with All Around Moving. Call us about your specific residential moving service needs today! Call us directly at 646.723.4084 or 212.781.4118. Big or small, we do it all!